Of course, in the end, everything worked out just like the final few pages of your favourite fairy tale for the prodigiously talented guard, who on back-to-back nights in March hit the shots which carried the North Delta Huskies to the B.C. Triple A championship title. Now, as Gahir casts an eye to the future, one which includes a swan song appearance in Saturday’s 7:30 p.m. Triple-A vs. Quad-A B.C. High School All-Star game at Surrey’s Semiahmoo Secondary, his admirable trait of patience will again be put to the test. With no shortage of post-high school opportunities in front of him, the long-armed, 6-foot-5 Gahir, the Triple A tourney MVP who averaged 30 points, 12 rebounds, and seven assists per game this past season, is determined to put his game on display in front of as many eyes as possible. That’s his patience speaking, and it’s something he modelled after fellow Drive graduate and rising Santa Clara freshman Miguel Tomley, the former Tamanawis high school star whose climb to national prominence has certainly provided Gahir with a schematic to follow. Tomley, who originally committed to rising Div. 1 program Cal Baptist, later de-committed, then after his Grade 12 season announced he would attend RISE Prep in Ontario for the 2018-19 season. Then, when his AAU career ended at the end of July last summer, he committed to Santa Clara for the start of its 2019-20 season. 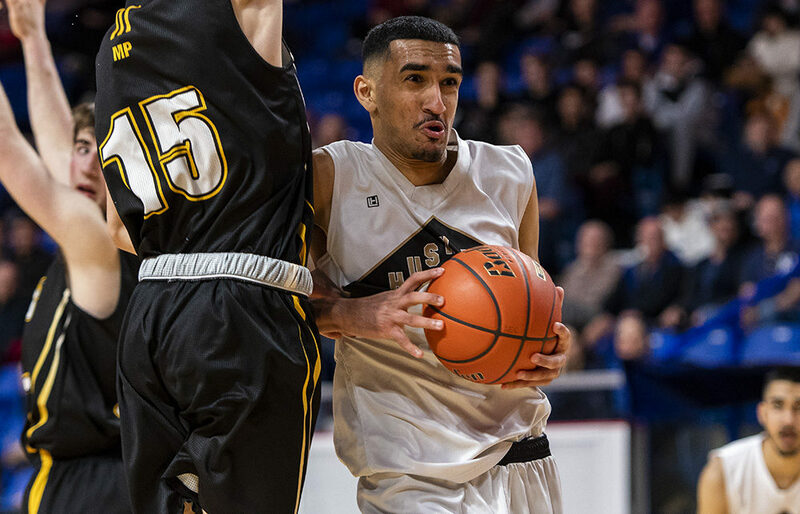 “Suraj is in a good position,” said Drive Basketball co-founder Pasha Bains. “He’s coming off being named the (Triple-A) MVP, and he’s still only 17. Gahir, who will arrive at all-star Saturday with teammates Arun Atker and Ryan Cabico as part of the Triple A all-star team, is sad on one level that his high school career is ending. Yet the palpable memory of achieving the things he had only dreamt of as a young player are serving as an especially steadying inner voice as he sets goals for the next chapter of his career. “Both of those shots are ones I’ve dreamed about hitting every day since I was in Grade 8,” Gahir said of the deep three against Duchess Park, and the less dramatic but ultimately more impactful lay-in against Vernon, both of which were game-winners. As deep background, that three-pointer in the semifinals against Duchess Park, one which came with under three seconds remaining on the clock, was a shot he would take every day in practice. It may have appeared extremely risky when he let it fly that day, yet there were untold hours of work which had gone into making that moment appear like nothing more than a lucky shot. Now, with that same level of patience behind him, Gahir looks ahead to his next move, to determining his next basketball home.